McAlister’s Deli Provides Opportunity For Youngster With a New Outlook on Life. Autism Speaks featured a story about Amanda Roberts, a 20-year old woman on the Autism spectrum, who was given a new outlook on life to share with others who she really is. The support from loved ones like her mother helped inspire her to accept herself with autism and respond to the stereotypes. 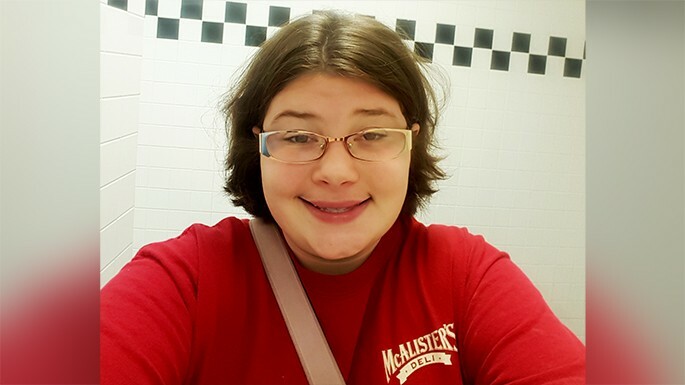 She was told that she was ‘intellectually impaired… and would never be trainable.’ Not only was Amanda ‘trainable’, she overcame the odds by landing a job with McAlister’s Deli! Read more as part of Autism Speaks’ “In Our Own Words” series.